In 1890 Massachusetts, Fiona Downey accepts a teaching position in rural Michigan, populated by few farms and even fewer people. 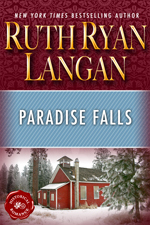 Living with the Hayden family in Paradise Falls, she is drawn into their complex relationships, especially the uneasy dynamic that seems to pit brother against brother: the older, taciturn Grayson, and Fleming, a handsome charmer. Attracted to Grayson -- but pursued by Fleming -- Fiona must decide where her true love lies -- and whether that love is worth sacrificing her dearest dreams. 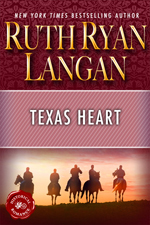 TEXAS HEART: Texas born Jessie Conway sets off on a reckless journey to find her father. 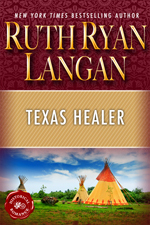 TEXAS HEALER: Dr. Dan Conway, wounded while healing a Comanche child, becomes a legend known as Pale Wolf. TEXAS HERO: Thad Conway is a loner by choice whose skill with a gun helps beautiful teacher Caroline Adams. 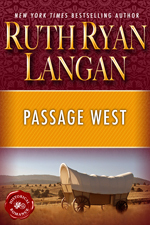 Texas born Jessie Conway sets off on a reckless journey to find her father, who left on a cattle drive and never returned to their hard-scrabble ranch. Cole Matthews is on the trail of a cold-blooded murderer. The last thing he needs is to baby-sit some fool female. But for better or worse, these two must work together if they are to survive the perils they will meet along the way. Dr. Dan Conway, wounded while healing a Comanche child, becomes a legend known as Pale Wolf, a hero, a healer, for curing the Comanche of the 'white man's disease'. Morning Light, sister to the great Comanche chief, has known wrenching pain from the white man. Yet this man, though forbidden, owns her heart. Thad Conway is a loner by choice. His reputation as a dangerous gun-slinger is known far and wide in Texas. Caroline Adams is on her way to a respectable job as teacher in the little town of Hope, Texas, thousands of miles from her ugly past. But when her past is exposed, Thad's skill with a gun may not be enough to protect her from the wealthy man who steals her hard-earned respect by spreading vicious rumors. 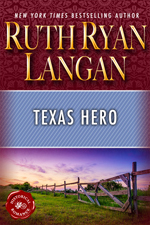 It will take a special kind of hero to help her win back her pride, and save her life in the process. Widowed Cassie Montgomery and her family are barely getting by in the Montana wilderness as she chases after her late husband's dream. Gambler Quin McAllister appears almost magically, bringing laughter, along with card tricks, into their austere lives. But while he lifts her burden, Cassie must guard her heart, knowing that Quin is a man who could never settle in one place. In 1866, Lizzy Spooner and her family faced a blizzard in the wilds of New Mexico, where only the toughest survived. 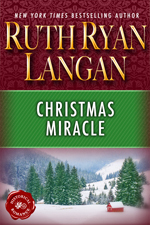 To grieving Cody Martin, Christmas was just another day of back-breaking work until he met the tough, determined Lizzy, and discovered his very own Christmas miracle. 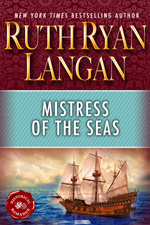 Scottish warrior Rory MacLaren first met the beautiful Mistress of the Seas aboard her father's French slave ship. Imagine his shock when next they meet at the Court of Charles I of England, where Courtney Thornhill is introduced as lady-in-waiting to the king's new bride, Henrietta Marie of France. These two find themselves on opposite sides in the dangerous world of Court intrigue. Can love survive the reckless seas of danger? Shane Driscoll, Lord Ashton, loves his free-wheeling lifestyle. Now his cousin and dear friend, King Charles, has decided that Shane must take a wife and settle down. 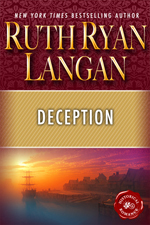 Claire Leyton, homeless and desperate, survives by her wits and her skill with a knife on the docks of England. When she picks the wrong sheep to fleece, Shane concocts a plan to use this clever actress in a bizarre plot to foil the king's plans. When the scheme goes awry, their lives and hearts hang in the balance. When U.S. Marshal Hodge Egan wakes to a beautiful vision standing over him, he can't believe his good fortune. That is, until he realizes the woman seems to be under the mistaken impression that he's an outlaw. 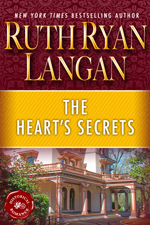 Unfortunately, by the time she realizes the truth, it might be too late for both of them. 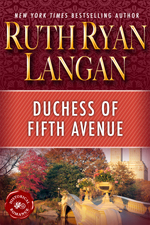 Plucky young Lana Dunleavy left Ireland with her best friend Siobhan in search of a better life -- but New York's harsh streets aren't quite what they expected. Amanda Jeffrey has not been dealt an easy hand in life. 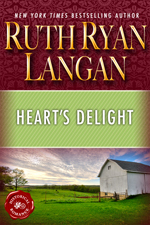 Widowed at a young age, she is left on her own to raise three small boys, tend to her ailing father-in-law, and maintain a languishing horse farm in 1880s Kentucky bluegrass country. Irish immigrant Cole Connelly and his son are seeking food and shelter in exchange for honest labor. His rugged presence and quiet Irish charm stir emotions in Amanda that she never thought she'd feel again. But there is danger as the hopes and dreams long buried in ashes begin to smolder and spark to life. 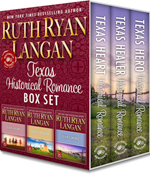 When Dublin O'Driscoll travels from Ireland to San Francisco to find the family she never knew, she becomes the object of desire of two very different men — David, the son of her grandfather's enemy, and Ross, a street-tough man and her grandfather's ally. Though she loves them both, it is Ross who stirs her blood like no other man. But will love be enough to overcome a desire for revenge? 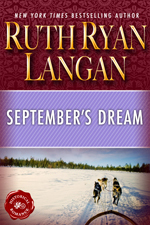 September Malloy leaves her home in San Francisco to travel to the gold fields of Alaska to search for her father. 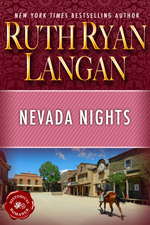 On the voyage she is robbed by a smooth-talking con man and is forced to take a job in a rough saloon. There she captures the heart of Jason Conroy, and persuades him to take her along on his danger-filled trek during the roughest part of the winter. In this wilderness they find passion and peril. But until September can find the object of her search, love must wait. Cameron McCormick is summoned from her convent home in Canada by her father in rough-and-tumble Virginia City, Nevada. 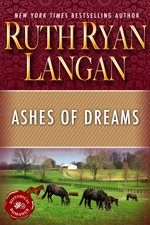 There she finds a family of strangers who resent her in their lives, and plot her death. Cameron is plunged into a web of mystery and deceit. She also finds an ally in the man she once knew as Michael, who now calls himself Colt. 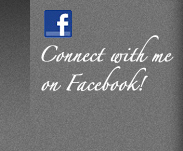 But can a mysdterious gunman be trusted with her life, and with her heart? Steamy New Orleans beckons convent-bred Annalisa Montgomery to find the mother she never knew. 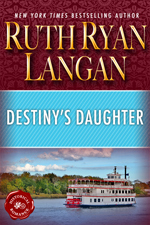 On her paddle-wheel voyage, she meets handsome gambler Chase Masters, who is intrigued by this beautiful innocent. Annalisa inherits a house of pleasure, along with its fascinating inhabitants, and is drawn into a web of corruption and intrigue. But the most dangerous mystery of all is Chase. 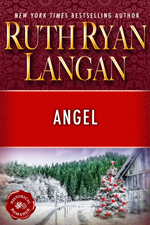 Can he keep Annalisa safe while continuing his own dangerous pursuits? In the wild Irish countryside, a blood feud between families pits fiery Alana O'Donnell against the man sworn to kill her, Sloan Townsend. Even when forced to wed against her will, Alana swears vengeance. But love and desire prove to be powerful weapons against decades of war.